Invasive species may threaten habitats and species with biodiversity and nature conservation value. Where invasive species are present, action may or may not be appropriate to control their spread or to eliminate them from sites and habitats. Invasive Species Action Plans are used to help coordinate the response to key invasive non-native species across England, Scotland and Wales. The plans provide a short and strategic overview identifying the key aims, objectives and actions. They can be seen on the Defra website . 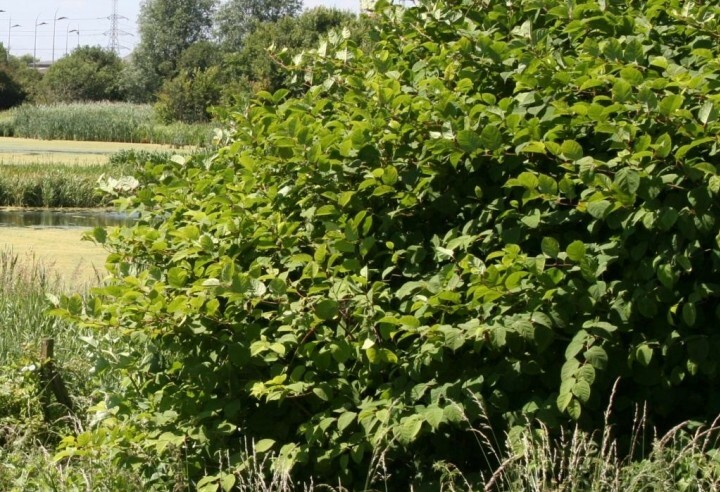 More information on invasive species, the problem they pose in Essex, and what you can do to help is given on the Essex Biodiversity Project website. The appropriate response to the presence of an invasive species will vary depending on the species and the degree to which it is or may in the future cause damage to the ecology at the location. Identification of invasive non-native species is an essential part of invasive species management and guidance can be found of the recording form for Floating Pennywort, Canadian and Nuttall's Waterweed and on the Defra website . Information on Ash Dieback disease can be found at the Forestry Commission link , where it can also be reported using the form provided. Please also report cases in Essex using our form. Most existing records of invasive species are made during general recording for a taxonomic group, although we want to encourage targeted recording of these species in the future. Where you have records of invasive species, please submit them to us here by selecting the invasive species from the list on the left and completing and submitting the form or by submitting them by email to . You will need to register and be logged-on to submit records and upload images to support your record.